Donna made an appointment with us to be seen today. A friend of hers wears a few of our splints for control of Osteo Arthritis and she was wondering what can be done for her deviating middle finger. 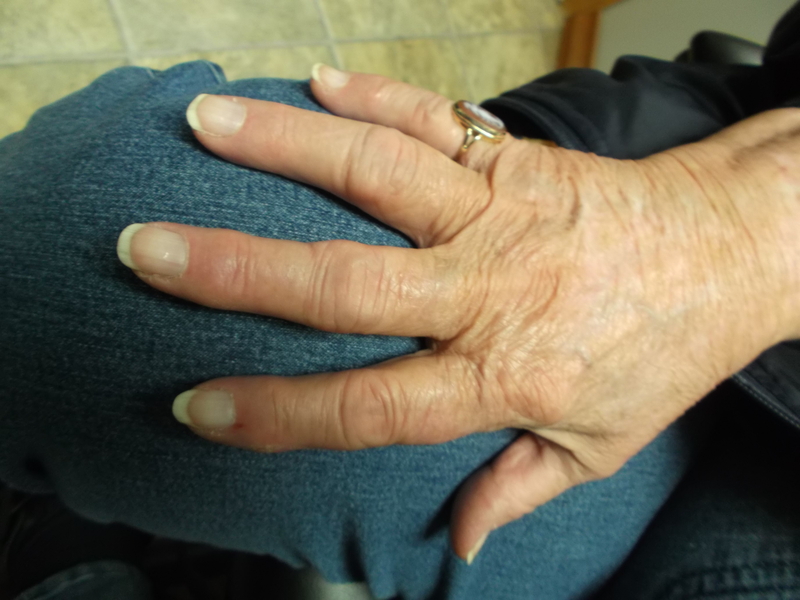 Donna was diagnosed with Rheumatoid Arthritis a few years ago and fortunately for her was able to keep it under control with medications. Another classic example of being pro-active as opposed to re-active. I showed her that if we can keep a constant amount of passive pressure on three points around her deviating joint, we should be able to stop the progression of deviation that occurs. I have pictures of RA clients from when they first came to see us to five years later and there is no progression of deviation. Our goal in this case is not to correct the deviation as much as slow down, or stop the progression of deviation. Donna and I sat together in my workshop today for about an hour and she was able to leave with a really good fitting splint. I used to say that I actually see 1 client out of 10 orders that come through the fax machine or by email… but that has changed in the last year or so. 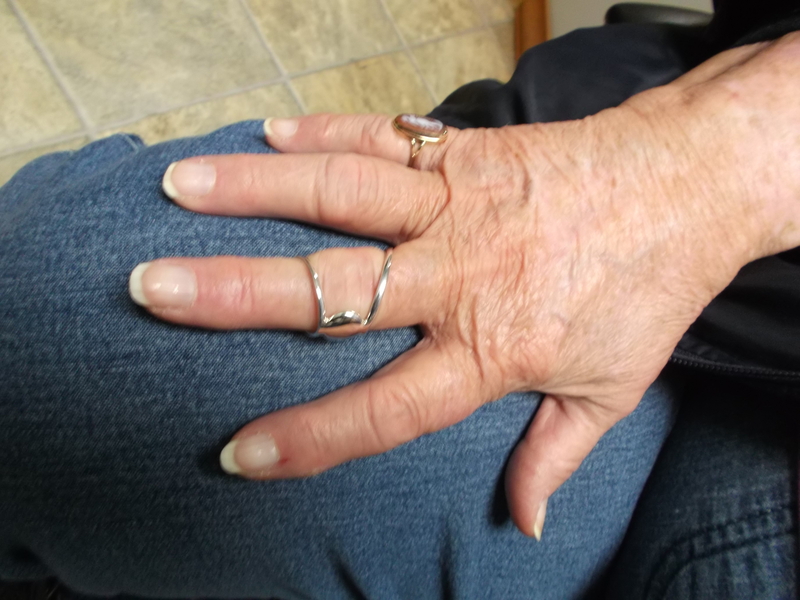 We have had clients come to see us from coast to coast and when they call to make an appointment with me right at my workbench and are within a two hour drive, I usually say “you’re local!” We have had people drive up to 18 hours to make an appointment and I love the opportunity to sit with clients and fit each splint, one ring at a time to make that perfect fit while making it a little bit more personal. This week has been a good week. Besides having six individual clients making the drive to Exeter, we have put out 14 separate orders, each ranging from one splint per order to eight custom orthopedic finger splints. Those orders came from therapists from several Provinces. Along with that, six measuring kits have been sent out to British Columbia to new therapists that have never used our splints before! 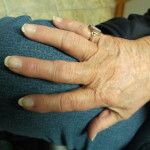 Quite often, when sitting with clients in my workshop, I hear them say that their doctor has said there is nothing that can be done about your arthritis. 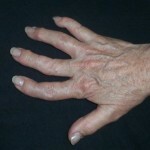 It bothers me… sure, one of the first things that I say or admit is that I can’t “fix” it… that being the deviations that happen to those precious finger joints, but I’m pretty sure that we can stop the progression of deviation that happens from the disease by applying continuous-passive-pressure to certain points of the finger to slow down or in some cases even stop the deviation that occurs. This is why; when I am speaking to therapists and Rheumatologists, I say it is better to be pro-active as opposed to re-active. Let’s get it at an early stage so that it does not progress to a point where it is difficult to pick up change or dig out our car keys, and doing something is better than sitting back and doing nothing! If we are going to do something, let’s do it in a way where the splints you need do not look like splints. 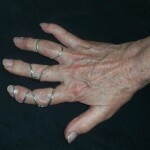 If you have to wear a splint every day for the rest of your life… then let’s do it in a way that preserves your dignity. 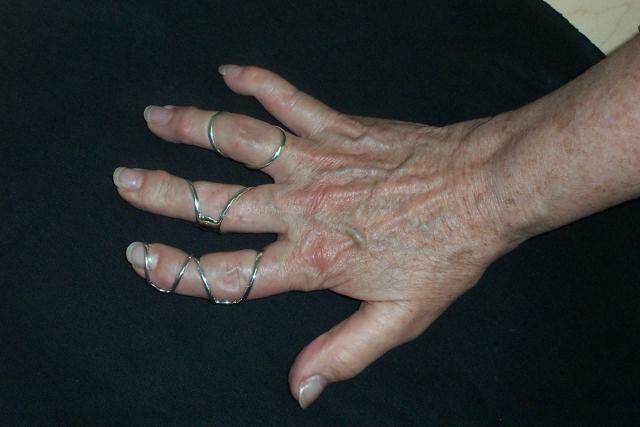 Therapists love the custom splints we build because compliance is not an issue. People wear Digisplints as recommended by therapists/physicians and client love wearing the splints because they do not look like splints!